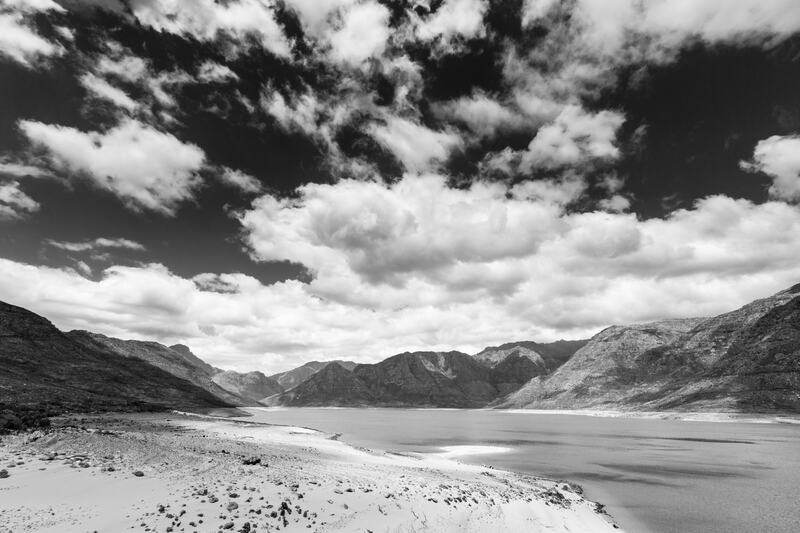 The Western Cape’s dams are at 38%. Levels are falling at around 1.5% per week as the region enters the hot months of February and March. This week’s theme is Black and White Landscape. I took a drive to Franschoek to shoot the Berg River Dam. It fell below 50% last week. Along with four other dams, it supplies Cape Town with water for residential, industrial and agriculture purposes. We’re already at Level 3 “B” water restrictions. Unless something changes soon, we’re in trouble.